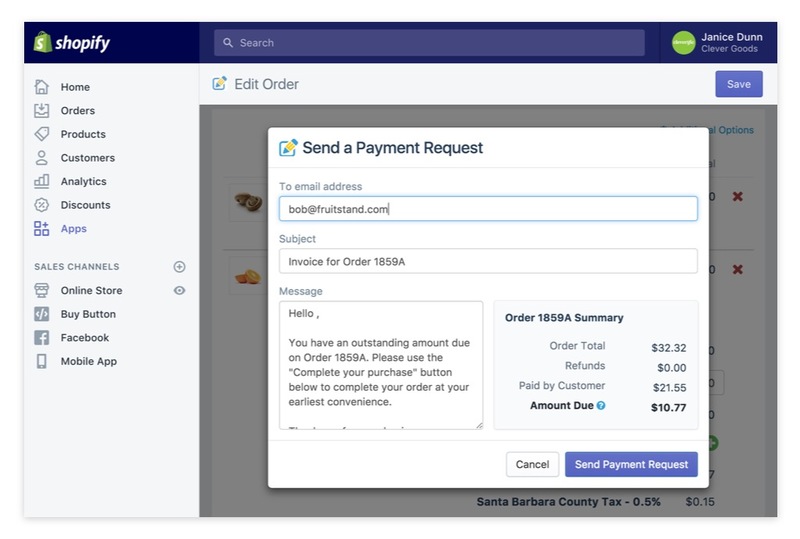 When your customer ends up owing you additional funds after editing or creating an order, you can collect payment by sending a payment request with Edit Order. This article will show you how. 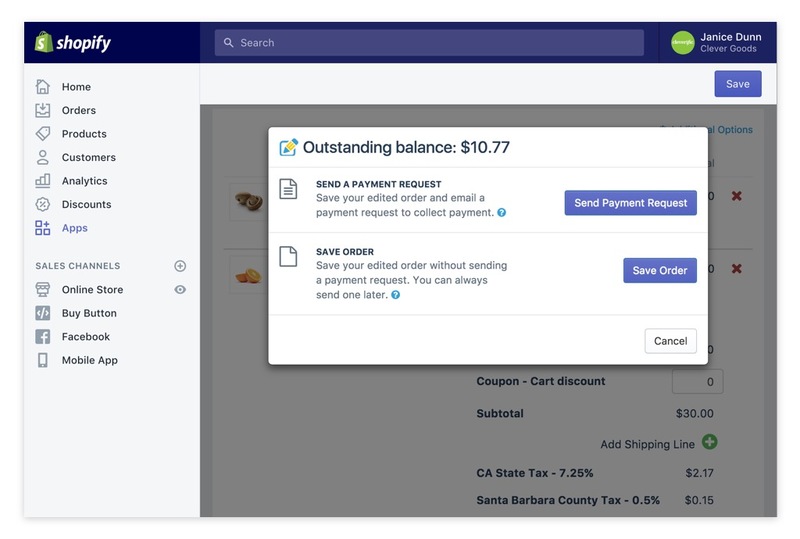 Send a Payment Request: This option will allow you to save your changes to this order and send out a payment request immediately after. If you have other notifications enabled, those notifications will also be sent out. Save Order: This option only saves changes to your order without sending a payment request. If you have other notifications enabled, those notifications will still be sent out. Please note that Edit Order will only prompt you with these save options if there is an amount due on the order. If a refund is due, or if the edit results in an even exchange, then Edit Order will simply redirect you to your edited order. Click Send Payment Request to continue and send a payment request. Finally, click Send Payment Request. This will submit your order for processing and will send a payment request out to your customer. When processing has been completed successfully, Edit Order will automatically redirect you back to the edited order's details page.